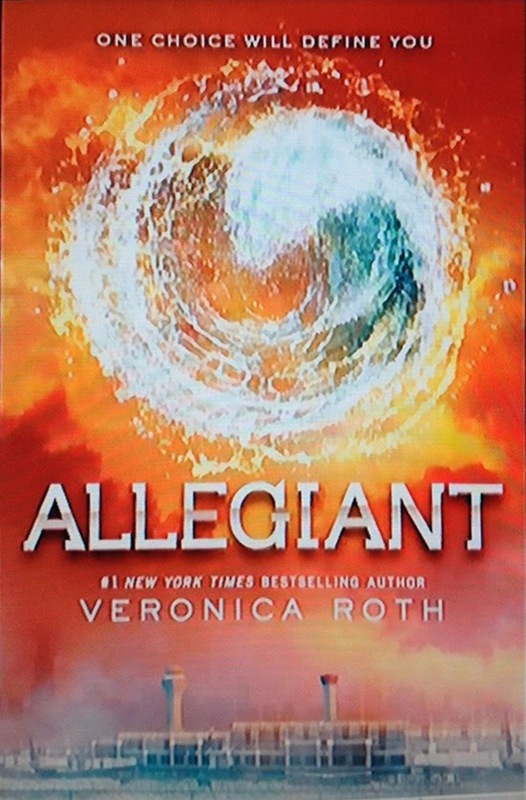 Allegiant picks up where Insurgent leaves off. While I generally try to avoid spoilers here, it's harder to do when reviewing a sequel. Rest assured I will not give away any surprises from Allegiant, but details from Divergent and Insurgent may be revealed. If you haven't read them yet, consider yourself warned. When we last left Tris and Tobias, she had betrayed him to work with his father to expose the truth the Erudite wanted so very much to hide and at the very last minute Tobias decided to trust her over his mother and helped to expose that truth. That the people outside the wall put them in there to help them develop into Divergents and that when there were enough of them they should open the gates and help the people outside the wall. The decision to stay or to travel beyond the wall is made a little difficult when Tobias's mother imprisons Tris and her friends. She is released and they make plans to escape the city and see what's on the other side of the wall. Once there they discover that things aren't quite what they thought--as usual--and Tris and Tobias face the ultimate test of their relationship. This final installment in the trilogy is told in alternating viewpoints, which makes perfect sense for the story. We've always known Tris's motivations and feelings, but only saw Tobias through her. Alternating the narrators lets us see both of their thoughts and decisions and fears. There were times when I briefly forgot who was narrating what, but for the most part I could keep track. I know there has been a lot of strong opinions about the ending of the book. While trying to avoid spoilers as much as possible here, I will say that I think it ended the way it needed to. Not that I was happy, not that I didn't feel emotionally wrecked afterwards, but that the ending remained true to the story and the characters. I liked this one just as much as the others and read it just as quickly.